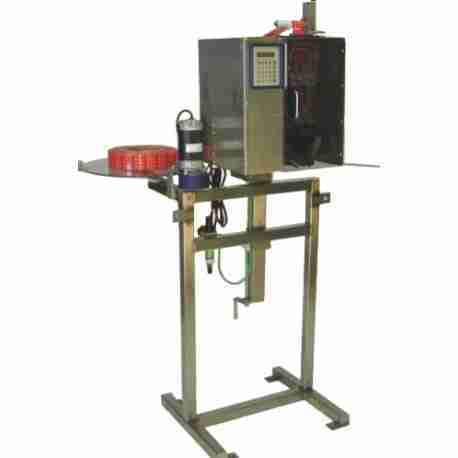 The shrink banding and shrink labeling machines are user-friendly and can be operated by any employee. With simplicity of the design it is the perfect choice for entry-level users, easy to operate, understand and maintain. Neckbands and sleeves are applied up to 100PPM. (Hi-speed option available). See Videos showing the application. Great for companies in the food, beverage, pharmaceutical and cosmetic industries. This shrink neck band applicator is used to apply temper evident neck bands to a variety bottles and containers. 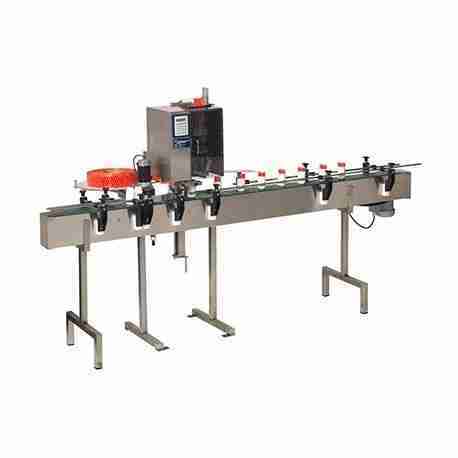 This shrink neck band applicator is used to apply temper evident neck bands to a variety bottles and containers.